If you’re looking for free TExES study guides online, you’re in the right place. Your typical TExES study guide is 500 pages long and written like a dry, boring textbook. Those preparation guides usually don’t cover the test questions you’ll face on your exam date. You may feel overwhelmed with so much material to study and a limited amount of time. More over the TExES practice test in those types of prep guides are typically much easier than the real exam. The TExES practice tests are often not worded or structured like the actual test you’ll confront. Whether you have to take the Generalist ec-6, TExES Math 4-8 8-12, Life Science 8-12, Pedagogy and Professional Responsibilities, ESL, Special Education, Science, Reading, English or Social Studies, getting prepared can be a confusing and frustrating experience. TExES study is the process of learning the content and material measured on your Texas Examinations Of Educator Standards. Your TExES exam study guide must provide a skeletal view of the official outline of content. Good review materials must provide basic facts and knowledge. However, ‘critical thinking’ and other test taking skills will determine whether you pass or fail. Therefore, your preparation books must also teach you how to apply this content to test questions. It should be organized in major sections that follow the outline on the official TExES exam TExES website. The best TExES test study guides show you the content that’s on the real exam. Naturally, it pays to cover all content, but knowing your blind spots will help you know where you need to put in more study. Your preparation books must efficiently organize and summarize the most important core content tested on your Texas teacher certification test. Your TExES study manuals must enable you to learn actively and not passively. Not only should it have an ample amount of practice questions, it must teach you test taking skills like how to use and apply critical thinking to answer test questions. Invest in new and updated study books. This exam changes over time, so only get and use the most updated manuals. This assumes you will study 2 hours per day, 5 days per week. If you don’t have 2 hours per day then you will need to start your preparation earlier than 6-8 weeks before your exam. Adjust this recommendation to your schedule. Use weekends and extra time in the evenings if you’re in a pinch for time. If you need to put in more hours, why not do one hour or exam prep in the morning and another one in the evenings. In this way, you absorb more information than tire out your brain in longer marathon sessions. If your Texas teacher certification exam is just 3 weeks away then you’re really in a time crunch and will need to attempt closer to 3-4 hours per day of review time. You should consider getting up an hour early to study for the TExES test. You’ll find after you’re fully rested and without distractions before you start your day, you can get as much test prep done as you would normally get done in 2-3 hours when you’re tired at the end of the day or with distractions around you. Don’t begin reviewing the content you generally like, are already good at or just feel like reviewing today. Rather, start with preparation material you’re not comfortable in, weaker in and tend to avoid. This will do much more to bring up your score faster and in less time. Go to the official SBEC website. Review the test framework. It outlines all the measured competencies. Drill down that list. Clearly identify what areas of the exam you need the most work into bring your score up to passing level. Mark each of those “areas of needed improvement” using a pen or highlighter or writing down on a separate sheet of paper. Post this information on your wall in front of you so you don’t wander off in the wrong direction during your test prep time. 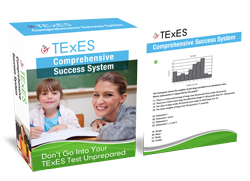 Before and during your TExES study guide sessions determine what material from the Texas Examinations Of Educator Standards and ETS content outline you need to gain proficiency to pass. Work backwards making a test prep schedule for the upcoming days and weeks before your test date. It’s best to buy a big calendar that you only use for TExES study session planning and scheduling. Chart out specific days and weeks to cover all essential topics and subtopics tested. Reserve your final week for a comprehensive “once over” of any area of the exam you’re still not familiar with or feel shaky in. Pinpoint challenges you face in your test prep like current study habits, constraints on your time, etc. and makes plan to mitigate them. Make a written plan for overcoming inevitable challenges you’ll face in getting properly prepared. For example, if you tend to procrastinate, have difficult in a specific area of the exam, a certain test taking skill is a problem for you, make a written plan to overcome this obstacle. Your written plan will create a time forcing system to avoid procrastination, forgetting important content and test taking skills you need to succeed. 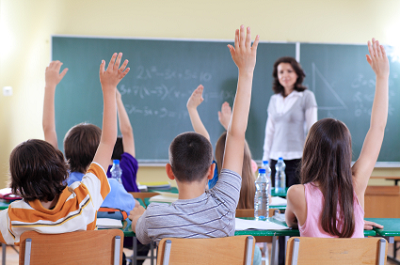 You may have difficulty finding books for supplemental exams like special education. 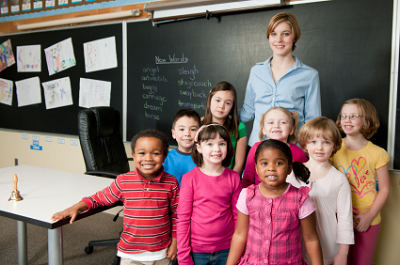 Remember that you have two required exams in order to get your teacher certification. The more active you get with your test review the faster you’ll master the content for your exam. The best examples of this are writing your own test questions and making flashcards. Writing your own TExES practice exam questions forces you to use higher order thinking skills. You get into the test developer’s psychology and predict test questions. You write and become more familiar with the types of questions and answer formats you’ll face. This advanced TExES test practice exercise can do more to increase your test score than anything else. Flashcards are a great way to quickly memorize a lot of facts that will likely pop up and be required during your exam. Flashcards are good way to study content you find hard to recall from mere reading and highlighting preparation books. You’ll get a lot of quality review time in odd 10 minutes here and 20 minutes when waiting for an appointment, sitting on a bus or just have a few minutes at home and are tired of reading and highlighting your book. A preparation course may not be the best use of your review time. Many students of test preparation workshops have complained they only learned what they have to study after wasting their entire weekend away. However, if you have two months before your test date and money for such a class you will get some test prep tips and test taking insights from the instructor you may not get elsewhere. You do not have to do you TExES practice and review alone. You could benefit a lot from studying with other candidates like having access to useful TExES study guides; getting a lot of help for content you find the hardest; and enabling you to enforce discipline to help you stick to your study plan. …Where can you get help? Even the best TExES study guides with the most organized visuals and descriptive diagrams are no substitute for live human help. Having a coach or a tutor to help your review has been proven to raise Texas Examination of Educator Standards test scores and pass rates dramatically. The most effective way to study is blocking out large chunks of uninterrupted time so your mind has time to warm up. Focus your test practice in 1 hour blocks of time with 10 minute breaks in between. You can get yourself into action and breakthrough procrastination if you break down your study sessions to 50 minute blocks. It’s not so overwhelming to think of all the test prep you need to do. Studies have shown this is most effective and optimal interval for your brain, doing productive work like studying for important exams. It takes your brain 20-25 to fully warm up and get into an optimal concentration for advanced learning. Studies have found your brain performs better and you avoid burn out if you give yourself short breaks on the schedule stated above. After 50 minutes of studying your TExES test prep guide, take a 10 minute break to rest your brain and keep your energy and motivation high. Do another 50 minute session without interruptions. After your two 50 minute sessions follow it up with a full 30 minute break. Just be sure you full rest your mind and get some exercise. Answering your emails or doing some another demanding task is not rest. Guard against time wasters and interrupters that steal your test score. It can take 5-15 minutes to get back to the state of concentration and learning you were in before each interruption. Be sure to schedule your study sessions ahead of time. Be clear to others that this is time you have blocked for TExES test practice. Never comprise your goal of being a Texas certified teacher by the demands of friends, short-term fun and frivolous interruptions. Stay on task and you will pass your ETS and SBEC exam. Protect your limited prep time. Little time wasters, interruptions, poor study guides and procrastination now could cost you big time if you fail. Be aware of how food and nutrition impacts your study, concentration, energy levels and your results. Eat small meals every 3 hours to keep your blood sugar levels at a normal level. Avoid eating junk that have sugar in them or that are fried. Sugar may give you an initial rush, but then tax you later when your blood sugar drops again. Avoid large Italian pasta dinners or big meals which will tend to make your brain fall asleep and make you feel sluggish. TExES practice with physical exercise also helps you combat stress, gives your mind a vacation from thinking about the exam and studying. We all know how effective exercise can be for our overall health. However, physical activities can also help you to stay sharp and motivated while studying for the TExES test. Your alertness will allow you to be able to grasp the review material better and pay full attention to what you need to retain. Exercise gives you more energy to be able to stay up late for studying. It’s easy to fall into the trap of thinking, “I’ll wait until next week.” Avert thinking a specific time in the future will be better to prepare. You always need more time later in your test practice in order to pass. There will never be a perfect time to start preparing. The “just right” time is now or as soon as possible. If you procrastinate, you are only harming your future education career. Make time to set goals on what exactly you want to cover and learn in each TExES study session. Use something close to your heart as your constant motivator to study each day. It could be a better salary, seeing how much better your life will be as a teacher and/or helping Texas students live better lives. Stay focused on the bigger vision and your purpose. Be prepared to sacrifice now for the rewards in the future. If having a secure job and financially stability makes you motivated to pass and launch your teaching career, then use that to prioritize your time and financial resources to get a passing score.